Hey there, happy weekend, all! It is Sunday morning here, and I couldn’t be happier. After an intense cardio-boxing class, there is a fun-filled day of sun and rest ahead. But first, a fun breakfast! I have to admit, during the week I am a boring breakfast eater. I love oatmeal, so I tend to eat some-sort of oatmeal or cereal combo with fruit salad almost every day of the week. That’s why I think the weekends call for something special, whether it be pancakes, french-toast, homemade muffins or breakfast out, just something different to mix it up. My Mom always made us special weekend breakfasts growing up, so I hope to carry on this tradition for my family, too. Anyway, it was fitting that I bake something blueberry-inspired this weekend, since I had a SERIOUS craving for blueberry muffins all week. 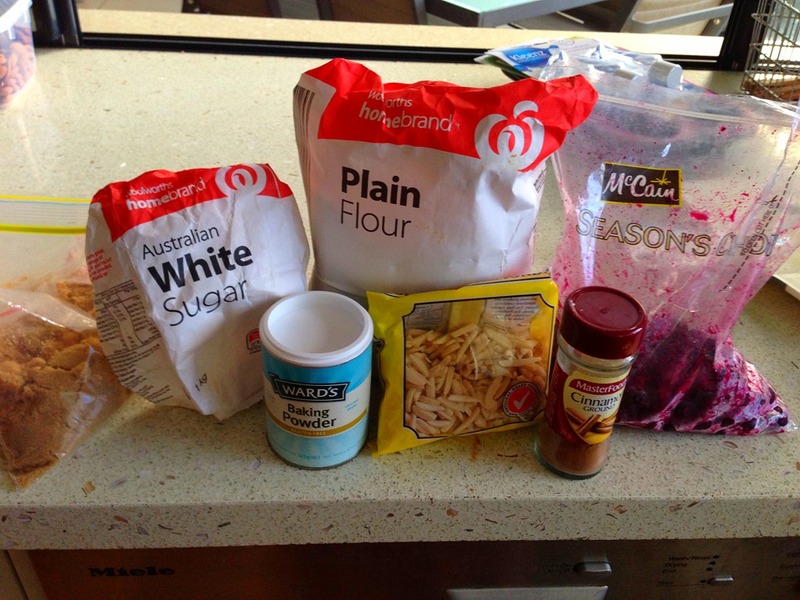 Come to find out, we didn’t have muffin tins (fail! 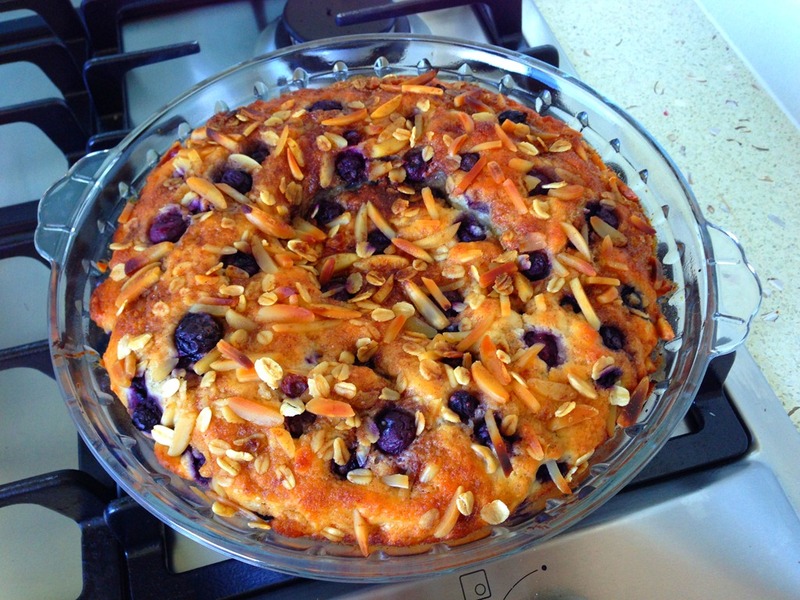 ), so I decided I’d make a blueberry coffee-cake instead. The best part is, it’s delicious yet good for you too. I, like most people I know, love muffins, cakes, donuts, and pretty much any baked good, but I’m not a big fan of buying them. I prefer to make them on my own to lighten them up a bit. So after some searching online, I found a recipe on Pinterest (what else!) that I modified slightly to add my own twist. Just a quick tip—try to use a spring-form pan to cook this if you have one. If you don’t have one, use a flat baking dish, such as a 9X12. I had to go with my only option, a pie dish, and it took quite some extra time to cook due to the center being elevated. 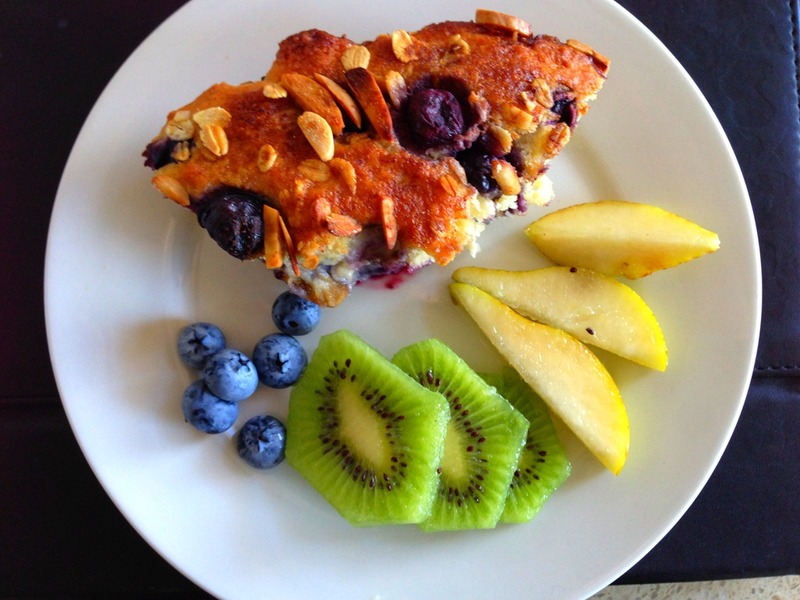 Either way, it was delicious yet light; a wonderful (healthier) breakfast treat for the weekend. We loved it, hope you do too! Preheat oven to 400°F . 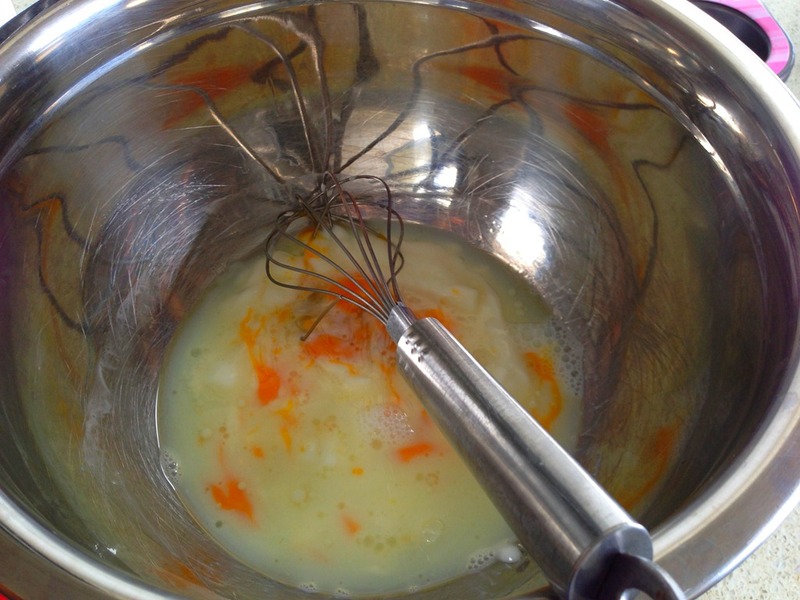 Whisk together first 4 ingredients in a large bowl. Set aside. Sift together flour, baking powder, sugar, and salt in another mixing bowl. 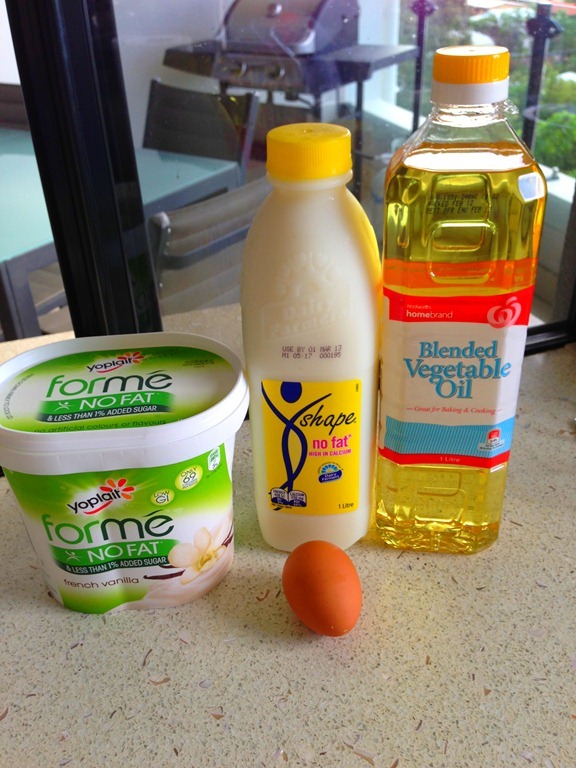 Then stir the flour mixture into the egg/liquid mixture until the dry ingredients are moistened. Careful, don’t over-mix! 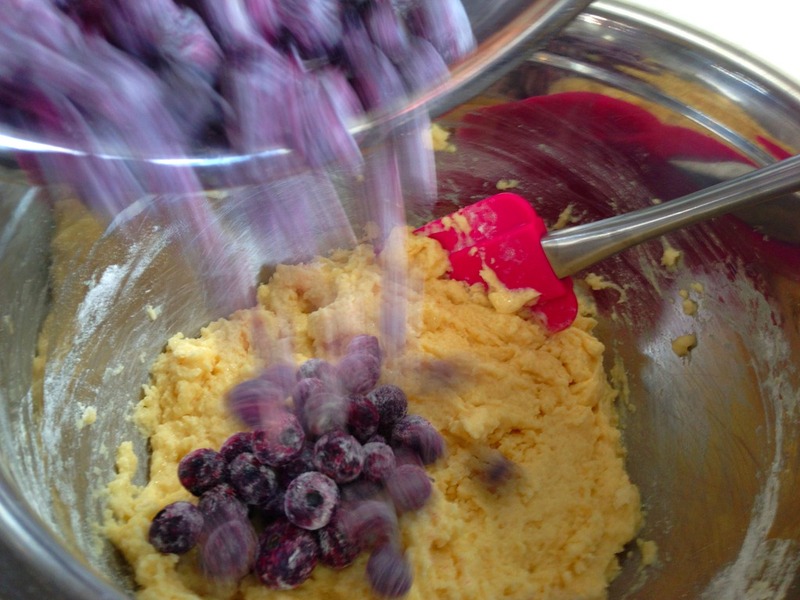 Next, toss 1 and 1/4 cups blueberries in 1 Tbsp. flour, so that the colors don’t bleed too much. Fold them into the batter, and pour into a lightly greased 9-inch spring- form pan. 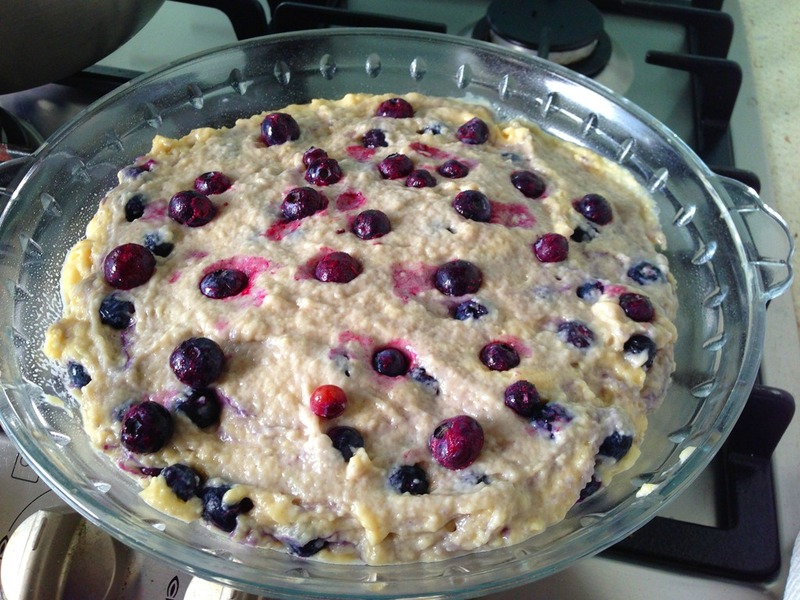 If you don’t have a spring-form pan, use a flat baking dish (like a 9X12). (Don’t use a pie dish like me, or it will affect the cooking time!) 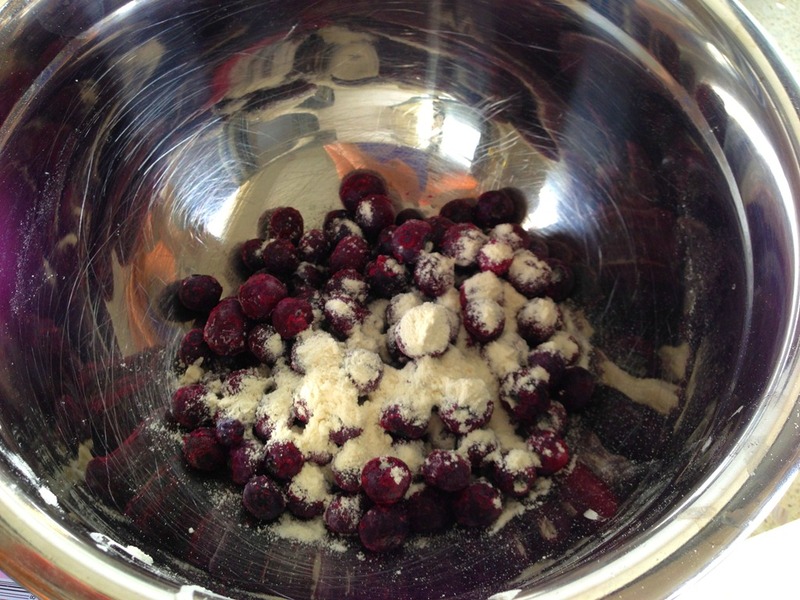 Sprinkle the top with remaining 1/4 cup blueberries. For the topping, stir together 2 Tbsp. 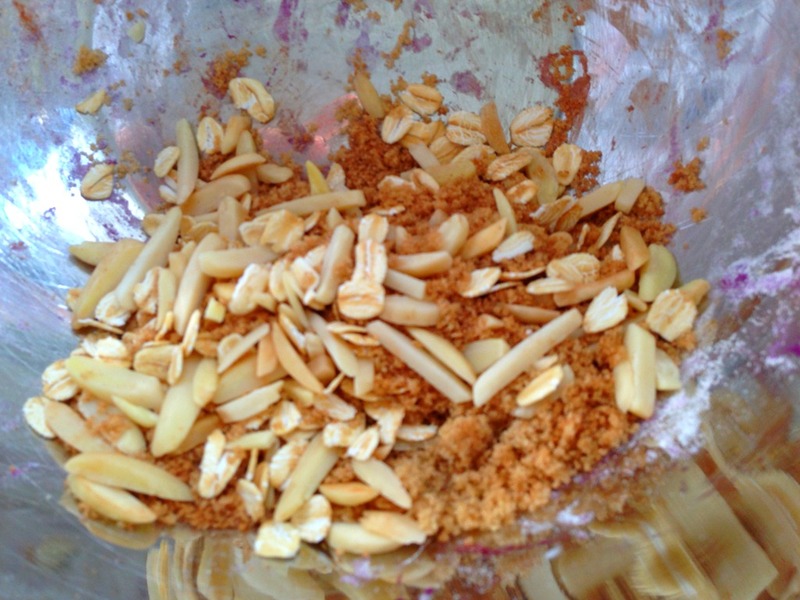 brown sugar, sliced almonds, oats and the cinnamon. 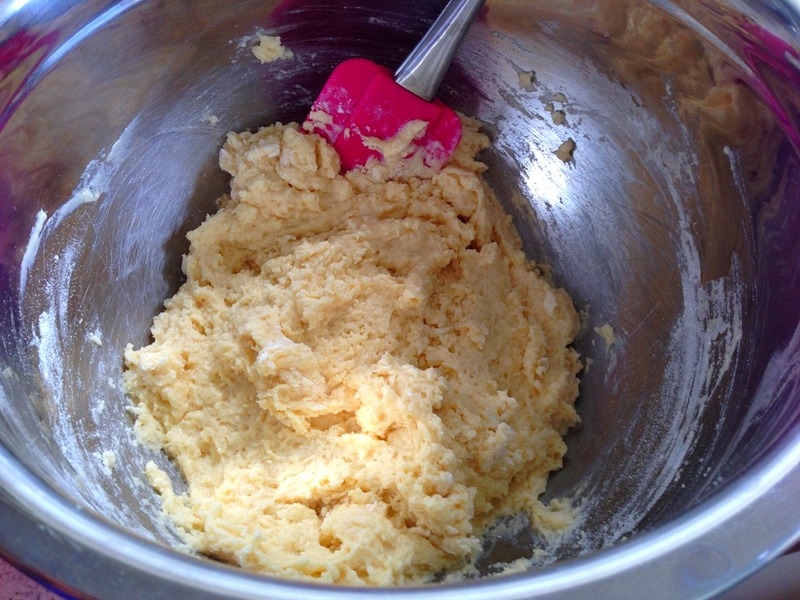 Then sprinkle over batter. Bake at 400° for 25 to 30 minutes, or until center is cooked through thoroughly. Cool in the pan on a wire rack 15 minutes, and then if you used one, remove the sides of the spring-form pan. I love this breakfast, it’s so pretty to look at! 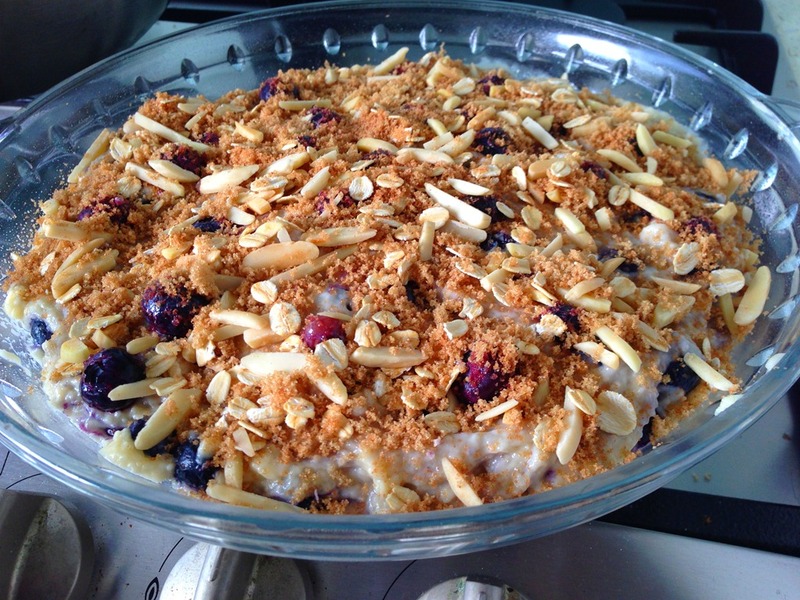 The oats on the topping are just an idea, but I thought they added a nice crunch. Plus, with the caramelized brown sugar, it’s a winning combo. 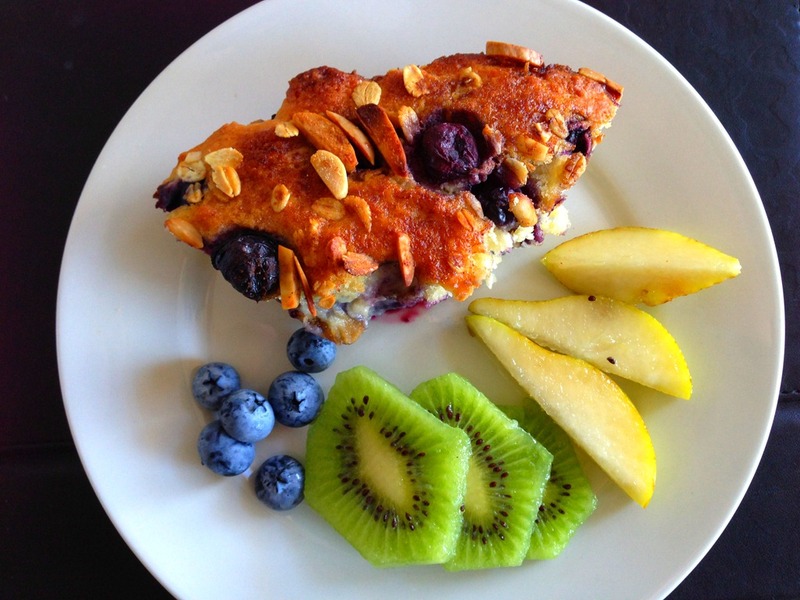 Pair this with a cup of fruit, and maybe some yogurt for a balanced brunch! I’ll be honest, it was hard to stop at one slice, but since it’s healthy, you can have another.Hope you enjoy this! Tell me, what is your favorite breakfast treat? Mmmmm, this looks so delicious! So pretty- love all the colors! Thanks :) I love the colors too! Yum! This looks great! Especially paired with that fresh fruit! I’m the same as you with weekly breakfasts, though! This looks delicious! I’m very much a savoury breakfast person now but when I want something special it’s usually chobani pancakes (recipe on my blog) which are delish and so filling. I hate pancakes that you could eat twenty of and still be hungry! I feel the same way Bek, I love pancakes but they have to be filling or I’ll eat the entire batch and more! I’ll look up your chobani pancakes, those sound yummy! I’ve never made anything like this before! It seems like it has all the goodies in one nice cake. :) I’ll have to try it soon and let you know how it goes. Thanks for the recipe and pictures!